This Canine Royale Black Dog Bowtie is by Aria. 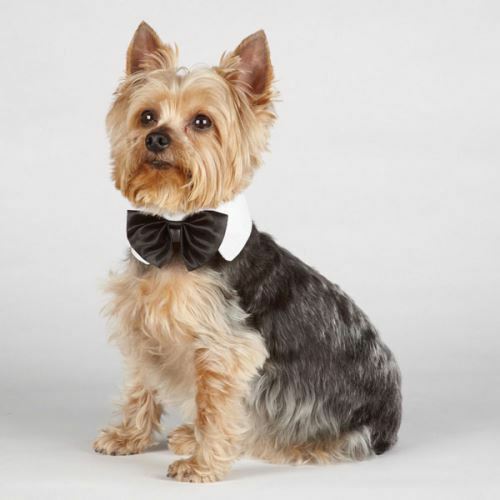 Add a sophisticated look to any canine wardrobe with Canine Royale Black Dog Bowtie. They have a comfortable, easy-fit Velcro strap and are designed to fit most dogs. Perfect for any event! Small Bowtie fits necks 8"-11"
Medium Bowtie fits necks 10"-14"